Feeling a bit over your workplace? If you aren’t ready to go out and set up your own business (which is what we suggest you do!!) 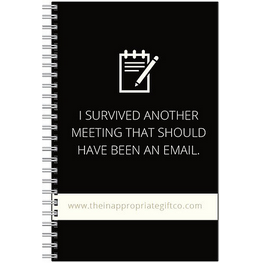 then you might like to vent your frustrations out with some goodies form the team at The Inappropriate Gift Co.
As the IGC team say, Life is short, have fun, stay foolish. ** The Inappropriate Gift Co site does contain swear words…. best not to visit this link if you are easily offended. Turn Excel spreadsheets into Apps!